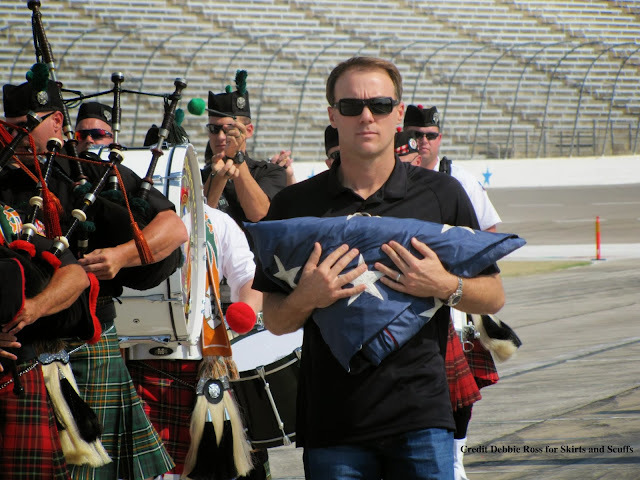 Kevin Harvick gives back by honoring veterans. determination, strength, willpower - qualities that could describe any given driver on any given Sunday. But look a little deeper. Look past the grit that powers the two-ton racecar around the track, the emotional strength that deals with the heartbreak of slamming a winning car into a wall or the armor that lets thousands of haters roll off their back with a smile. If you look hard enough, you'll find it. The gift from within. What is the gift from within, you may ask. In our sport, it is the unwavering ability of our heroes, our drivers, to give back. It's the gift of not being asked to do it, but being moved to. It's the gift of seeing a child's face light up, it's the gift of helping a family with an ill child pay their heating bill. It's the gift of having a good soul. All too often in sports, we see the bad side of things. Players getting arrested for fights or drugs. Players making racial slurs or players jailed for murder. Sports media does a lot to try to turn the images of these players around, writing stories about them at camp and making commercials about the leagues giving back. I'll bet a lot of those featured players are giving back because they have to. This week, without a lot of fanfare from the mainstream media, Martin Truex Jr. realized a dream four years in the making. One twitter follower called it the biggest thing Truex Jr. has ever done. He was there to witness the grand opening of the Martin Truex Jr. Pediatric Care Center at Southern Ocean Medical Center in Manahawkin, NJ. The Martin Truex Jr. Foundation exists to better the lives of children stricken by illness, poverty or neglect. Over the years, they have contributed over $1 million to various programs and initiatives to help those very children. Martin didn't have to start a foundation, but he did. 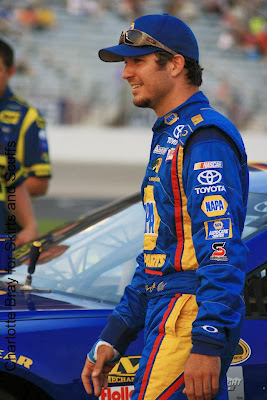 After all he has been through in the past month - making the Chase and then being knocked out, driving with a broken wrist, watching his full-time sponsor walk away from his car leaving his future uncertain - Truex Jr. didn't give up his commitment to his community. He gave them a gift, and in turn, his gift will give to children for years to come. Our heroes give gifts all the time, and without being asked. They do it because they know they have been given a tremendous opportunity. They do it because some of them come from communities that need help. They do it so no child or family will go hungry, or be alone in the hospital. They do it so kids can have a chance. A chance is sometimes all someone needs to take that next step in life. 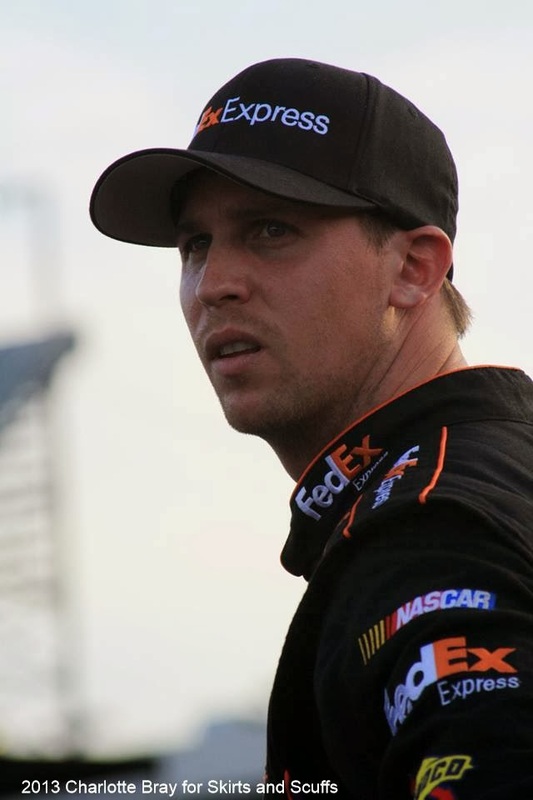 Thursday night, Denny Hamlin received the March of Dimes "Champion for Babies" award, reserved only for those who do the most special work for the organization. He was recognized for his continuous efforts in raising awareness about the March of Dimes' signature fundraiser, March for Babies, and his efforts to host March of Dimes families at races throughout the season, encouraging them to share their stories, and encouraging fans to either donate to the cause or sign up for a walk themselves. Hamlin became only the fourth recipient of the prestigious award, joining Joe Namath, Greg Gumbel and Arnold Palmer. Kevin Harvick awards athletic scholarships to deserving children through his foundation. He also helped rebuild the wrestling program at the high school he attended in Bakersfield, Calif., giving hundreds of teens the opportunity to experience the sport he says helped him grow into the mentally and physically strong person he is today. 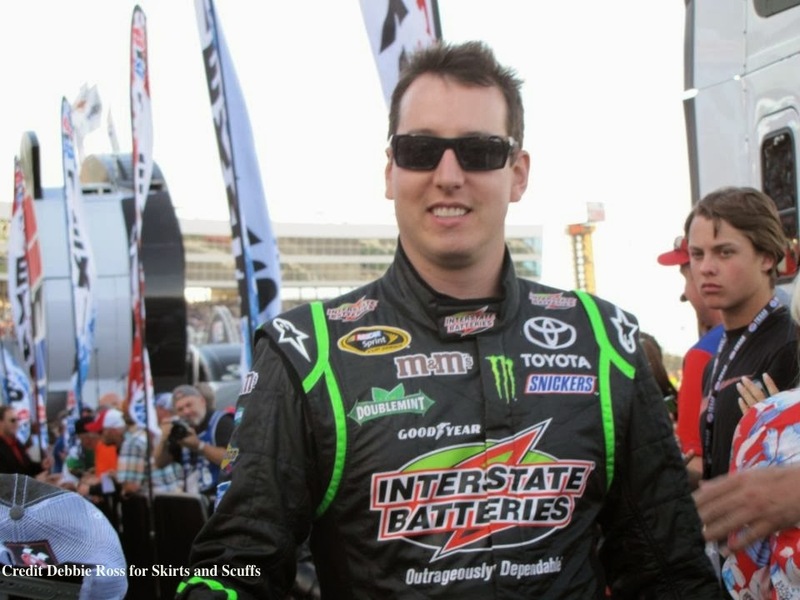 Kyle Busch and his foundation support children's homes both in and out of N.C. His wife Samantha collects dresses and accessories so underprivileged girls are able to attend their proms. There are many more stories of drivers and the gifts they give and the chances they create for people. Every driver gives back, whether it be through a namesake foundation or hours spent at Victory Junction Gang Camp. They're some of the busiest people in the world taking time to make sure a child eats, or sleeps comfortably in a hospital or children's home. But most likely you already know. Unlike other sports, we don't have to publicize the fact that our heroes give back. The look in their eyes gives it away.